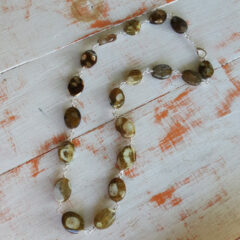 Czech beads in black and fired beads with drop beaded fringe. 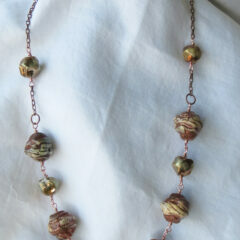 Black and Bronze Fringe necklace with drops of Czech Fired, and black Czech beads. 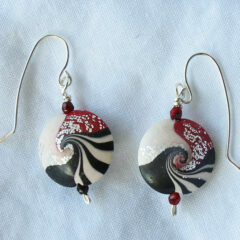 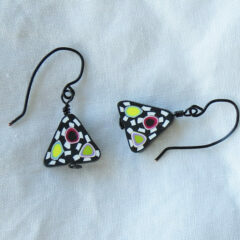 These Peppermint Swirl earrings are one of a kind. 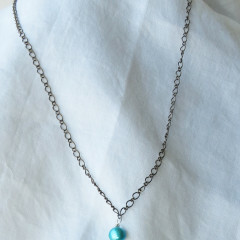 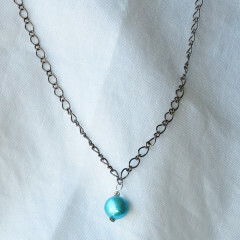 Peacock Blue pendant necklace on nickel colored metal chain. 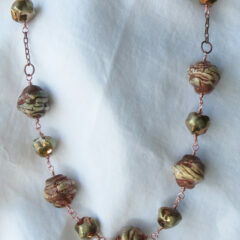 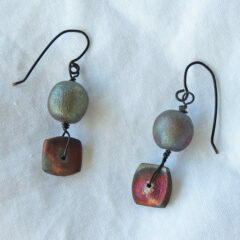 Raku Bead Necklace with beautiful bronze and earth tones. 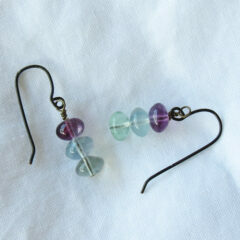 These cool tri colored Fluorite earrings will go with so many of your summer outfits. 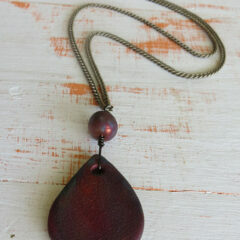 Shades of rich browns. 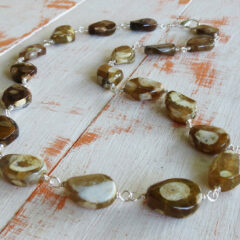 Unusual dotted stones hand linked, one of a kind necklace.